Are weeds destroying the appeal of your garden? Do you spend most of your time gardening attending to the weeds? 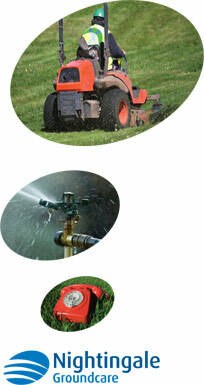 Do you need to invest in weed killing in Basingstoke? Small or large, they steal the water and nutrients from other plants, meaning your beloved flowers become neglected and weak. Weeds are something that many avid gardeners face on the regular, and no amount of shop bought weed killer can get to the root of the problem. If you've tried every avenue possible to remove the weeds in your garden but have had no luck, we are here to help. Here at Nightingale Ground Care, we understand that there's nothing more frustrating than a pesky weed. We are proud to offer our services to an array of clients across Basingstoke and beyond. When you choose us, we will use the best methods and products to lift the weed from the root, resolving the problem and preventing it from returning. Alongside our weed killing services, we are also professional tree surgeons and landscape gardeners. We always offer a prompt, friendly and affordable service, and we are ready to help you. Reach out to the team today on info@nightingalegroundcare.co.uk where we will be happy to help.